Are you looking for best business ideas with a small investment in the United Kingdom? UK based cleaning business is a good idea to get into the large market of the country. It’s worth around £5.6 billion of the UK cleaning business. Besides, almost half a million people working in this sector. Moreover, small companies and sole traders are dominating in the UK cleaning business where 86% of janitorial cleaning services have 10 employees or less. 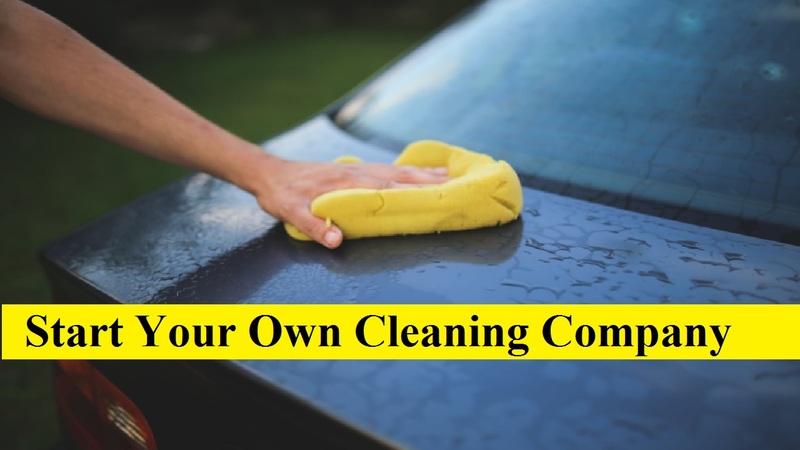 This article will show you what’s required to start and run a successful business to provide an office and domestic or home cleaning services if you’re thinking of starting a cleaning business company. You have many opportunities to get success in the cleaning services, such as homes, commercial buildings, offices etc. From window cleaning to janitorial services, this industry covers various manners of niches. What you need to do is just simply starting of the business. The domestic cleaning market is worth anything between £3 billion and £9 billion per year according to the various reliable sources. Also, with many franchise companies, such as Molly Maid is fairly competitive. Many people had the much disposable income to be able to afford a cleaner in the last boom period from 1995 to 2008. However, you might find the market tougher than before because the recession bites some of these services are being disposed of. Now, the question is what involves in the cleaning business. For the domestic or home cleaning services, you need some cleaning products that are available in any supermarket. But, the most important one is the customers. In every week or two for 1 to 2 hours, most people will either get cleaning undertaken. You could charge £10 – £20 per hour for this service that is above minimum wage but only just depending on your location. Some people start working with a few customers. After that, they employ people they can trust to do most of the work to expand the business. Make you prepare for a challenge and stay true to your vision and quality. Talk to as many people as possible so that you can take advice. Be prepared for unusual requests from the customers. Don’t forget about employers’ liability insurance if you have employees. If you’re thinking to start the UK based cleaning business, we’re here with step by step guide. This guide will help you to start your business effectively. In the beginning, you have to decide what kind of cleaner you’re going stat. also, what market you’re going to offer your services. You’ll find there three main cleaning market, such as domestic, commercial, as well as the specialist. So, you should also make sure that you do some research because your choice of the market will likely depend on your existing experience and expertise. Specifically, identify what the relative sizes of those markets in your local area are. It doesn’t require any qualifications to work for the domestic cleaning. But, you must need it for specialist cleaning and commercial jobs. You can contact the British Institute of Cleaning Science for more information on cleaning qualifications. You should seriously consider writing a business plan before you go any further. Because you start and grow it, this document helps you to build a sound foundation for your venture. You’ll conduct market research, build financial plans, and work out your marketing channels within your plan. Keep step-by-step plans written to make a comprehensive guide. It’s the pitching time for you. How you attract the clients that are known as your marketing plan as well, which is depending on your chosen market. Such as, it might be as simple as knocking on doors if you’re a domestic cleaner. But, you have to get listed in the local business directories with the more advanced marketing techniques such as online marketing with Google My Business, or submitting your details. If particularly, you’re a one-man-band domestic cleaner, it might be that you want to stay small. But, employing several people, this cleaning business has the potential to grow from single-person operations into small companies. You might look to take on additional cleaning staff to help you spread the workload when your business grows. Self-employed cleaners have a few legal obligations, particularly with regard to tax as with any other self-employed profession. You’ll need to complete an annual Self Assessment tax return after registering as self-employed with HMRC. Besides, you must make a payment on the account every 31 July and pay the tax bill by 31 January each year. Moreover, you have to think about insurance of the employees and the organization. You can protect yourself against claims arising from injury or loss suffered by a member of the public as a result of your work taking out a public liability insurance policy. Also, you’ll be legally obliged to take out employers’ liability insurance if you employ anyone in cleaning Services Company in the UK. In the UK based cleaning business, there is much franchise that for sale. So, you can find them locally or on the internet. But, the problem is that you’ll have to find around £10,000 to give them. They won’t get customers for you, but they’ll provide training. If you’ve tried to set up the business before and have failed this direction might be an option. So, you have to ask yourself why you’ve failed. This is because it might be that there is simply no business in the specific area that you choose. It may provide you with more confidence if you’re thinking of choosing a cleaning franchise business. The best thing you can do is to try and find someone who has one to ask how it works for them. As any business is somehow challenging, UK based cleaning business is not out of it. But, if you keep servicing with quality, you’ll get success sooner or later. Also, there is no alternative of patience, so follow our above-stated guide and be patience. In the result, you’ll get success with customers. Now, over to you readers, if you find it helpful, so share with your friends. Also, let us know to comment if we’ve left something essential regarding this concern. And, make a comment your experience about this business so that others can know it.